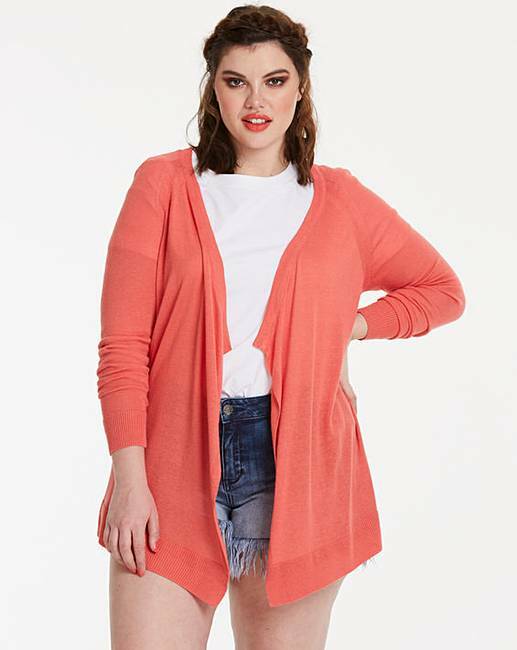 Linen Mix Waterfall Cardigan is rated 3.7 out of 5 by 21. 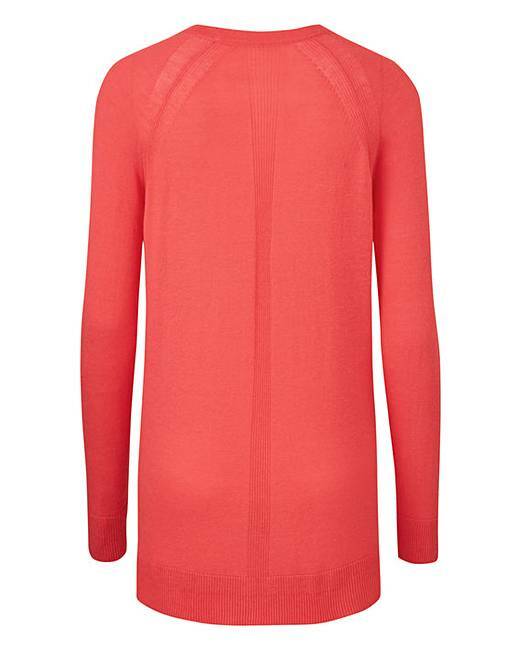 Add a feminine touch to your knitwear wardrobe this season with this linen-mix cardigan. A stylish bum-coverer, this beautiful piece features delicate pointelle detailing down the back panel for an elegant look. The waterfall front creates a flattering silhouette that skims over the waist. 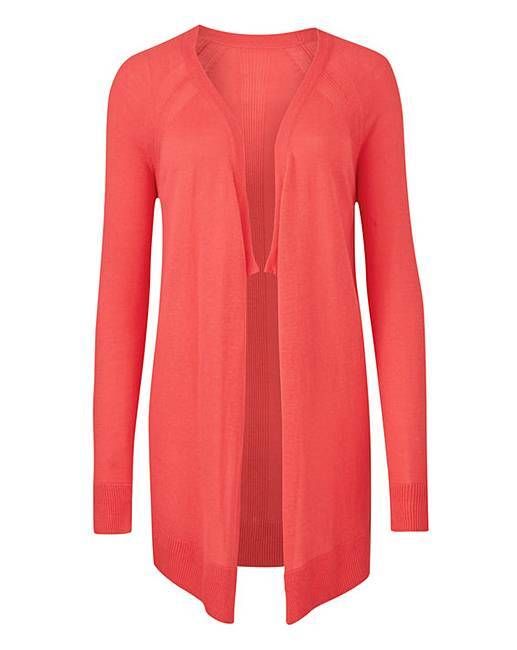 Rated 3 out of 5 by SHOLLY14 from Lovely Cardigan I recently bought this cardigan in Coral. Nice feel to the body, wooll is quite sof and easy to manage.and feels great against ones skin. Rated 4 out of 5 by Annie50 from You'll Never Feel Blue in this Cardi! I bought this to go with the OASIS Paisley Handkerchief Dress and they go together perfectly. Great length for me (at 5ft 11ins) but ladies who are on the petite side might find it overpowers them. Sleeve length just right so that's another plus. Will purchase other colours. Rated 5 out of 5 by Mgt McK from Fab design I bought after gaining weight because of health problems. It's a size I never thought I'd buy. It's just so comfortable without looking too much like plus size clothing because of the cut. Rated 2 out of 5 by Sue66 from Poor Very thin. Worn twice, stitching around neck has come undone.